We recently presented at the FinJS London Event where we showcased our work with OpenFin OS and Angular. With featured guests like Microsoft, Adaptive, and AG-Grid, Infragistics' Jason Beres, the SVP of Developer Tools, showed the audience the work we've been doing to extensively support capital market applications with Ignite UI for Angular's high-powered Angular Data Grid and high-performance financial chart component. The present state of choosing frameworks for application development and what it takes to compete in the modern space. Angular Data Grid examples with large-scale data sets being rendered in real-time on the grid and with the financial chart component. A demo of integrating OpenFin OS with the Angular Data Grid. 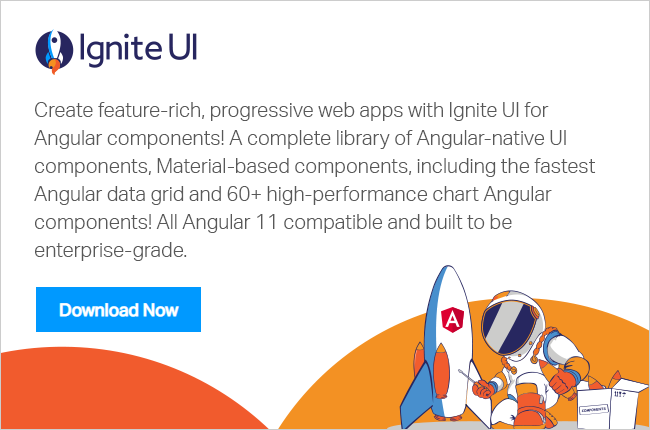 If you're interested in experiencing the financial chart for yourself, consider visiting Ignite UI or Ultimate UI for WPF.